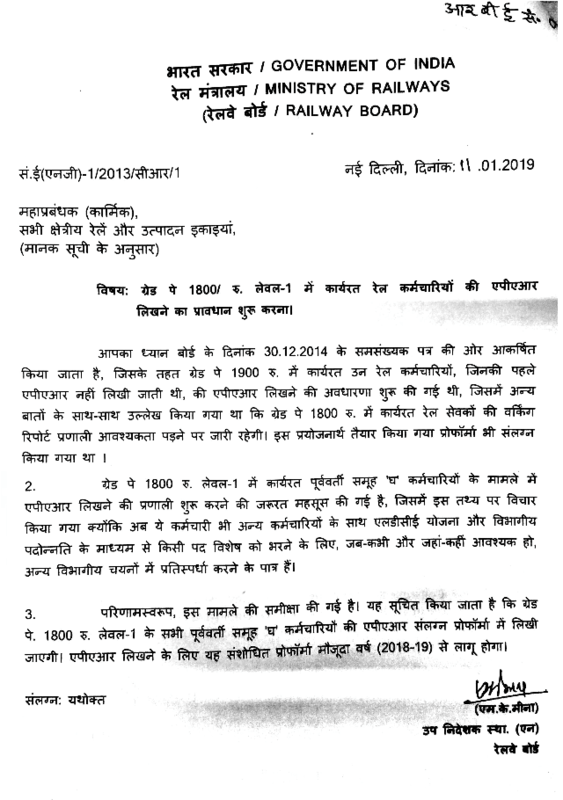 Subject : Introduction of Provisions for writing of APAR of Railway Employees Working in Grade Pay Rs.1800/- Level-I. 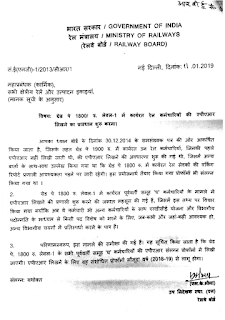 Attention is invited to Board’s letter of even number dated 30.12.2014, vide which, concept of writing APARs of those Railways’ employees working in Grade Pay Rs.1900 and in whose cases APARs were not written earlier, was introduced inter-alia mentioning that those Railway servants in Grade Pay Rs.1800, the system of working reports as and when required will continue. A proforma evolved for this purpose was also enclosed. 2. 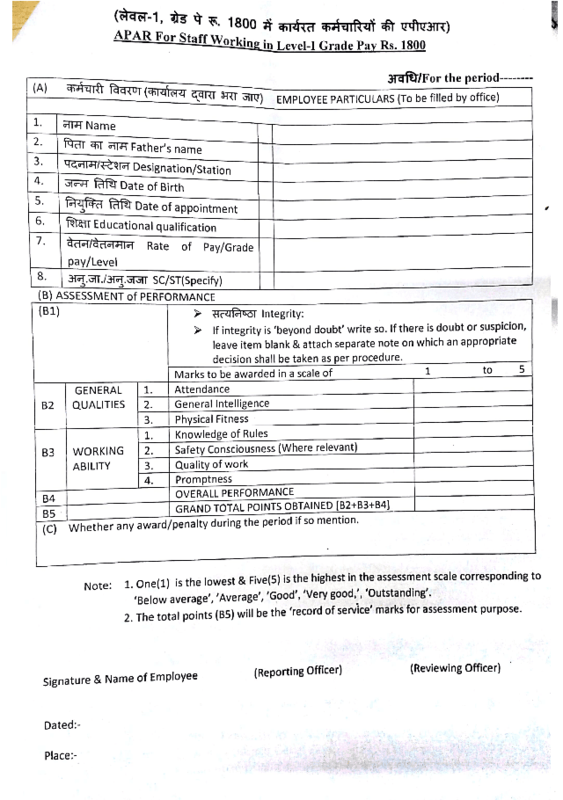 A need to introduce the system of writing APARs in the cases of erstwhile Group ‘D’ staff working in Grade Pay Rs.1800, Level-I, has been experienced considering the fact that now such employees have also been made eligible to compete with others in the scheme of LDCE and other departmental selections whenever and wherever these are conducted to fill up particular posts through departmental promotion. 3. Consequently, the matter has been reviewed. It is advised that the APARs be written in the case of all the erstwhile Group ‘ D’ employees G.P. Rs. 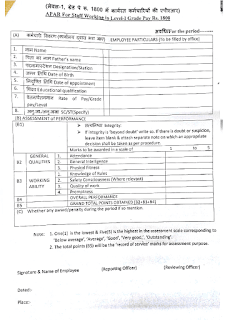 1800/- Level-1 in the proforma attached. The revised proforma will be applicable for APARs written from the current year (2018-19) onwards.